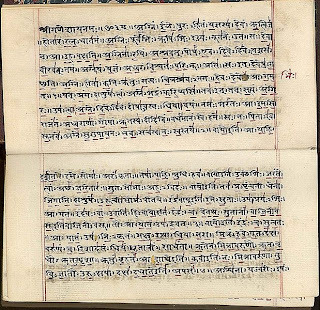 Vedas in Hindi - संपूर्ण वेद कथा ! Every Indian should read this, then only they will know how rich we are in science, culture, civilisation. Please do not follow western culture. It is really interesting to know about our real identity and i m thank full to god to give birth me in India.Sir my humble requst to you that, can we shorten the all information of our "DHARMA-GRANTHA" to creat attract our present generation toward our Religious aspects. good job sir.It has great knowledge about Hindus. Excellent work for spreading the right awareness about our great & ancient religion . It will be indeed very nice if efforts are made to prepare audio and video recording of ....COMPLETE ... recitation of Rig Ved in the purest form ...along with copies of original text and translation and preserve it for posterity in best possible manner at 10 or more selected locations including "char dharm". Similar action for other Vedas ... Upnishanas and other main dharma granths. If copies could be made readily available... in every district of INDIA ....as well as to common people it will be excellent for spreading the message of our great religion and culture. Dear Sir, you can get authentic Granthas from Geeta-Press, Gorakhpur or from Arya Samaj. We should make efforts to….. establish chairs in leading Universities in India & abroad ….as well as in IITs, Engineering & Medical colleges … based on support of….. leading Indians businessmen & professionals for study of …..impact of Ancient Indian Literature on…. Maths , Trigonometry ,Astronomy , Science , Technology , Medicine, Surgery ,Economics , Good Governance, Legal Systems etc. आपकी प्रस्तुति गागर में सागर के समान है. . .
Any body want to spread these real knowledge in the world effectively, i am ready to support from heart and mind. you have gotten this message because you have commited on a web! how will you support in spreading knowledge of ved? muje lagta hai ki hame hamari school me se hi in ved, upishad aur puran ka gyan dena suru karna chahiye isi gyan se hamari sanskriti vapas ayegi aur HINDUSTAN e din super power banega aur hame sanskri language pe jor dena chahiye kyoki hamare ved, upnishad, puran jo bhi hai woh sanskrit me hi the aur yeh bhangwan ki bhasha hai or sanskri hi hamari sanskriti hai. KYA IN VEDO ME MANUSHYA KE PAAPO SE MUKTI KA KOI UPAY HAI ? AGAR HAI TO KAISE MANUSHYA APNE JEEVAN KE PAAPO SE MUKTI PA SAKTA HAI ? ok.. so my question is according to ved.... there are four types of vedas : 1) Arth Ved 2) Rig Ved 3) Sam Ved and 4) Yajur Ved. so how many gods are mentioned in ved ? can you ex-plane it ? According to rig veda "there is only one truth or god which can mention with many name". ONly three God as you know.All name is used for him.But sometimes worship sun,moon,cow etc for faith and goodwill. ANd may be many more,many people have no full knowledge of ved as like me! mai sbhi hindu bhaiyon se kehna chahunga hum apne chiderns ko bhi inke bare mai batana chahiye taki wo galat cheejon se dyan hata kar apne dharm ki raksha kar sake. Its true that we all should read vedas! How can we even try to read those great source of knowledge! Huge questions with no proper answer! Then how do people manage their time to read novels? I think reading and understanding Vedas is not so easy. So, we just need to SIMPLIFY(with authenticity) and provide easy access to read Vedas content..! क्या ईश्वर दिखाई देता है ? thank you for the valuable information you provided. Thank you very much for your big efforts. you are so nice.Jay Ho. Vedas are the essence of our life, giving the ways to live our life, the treasure of our Hindu culture. We need to know, to spread and to protect it from the unsocial elements. Excellent job. High quality audio.There is a need to popularize ved like yoga. Kindly don't put up fights in the form of online quarrel over here. People who are not with us in it should simply refrain from seeing it. This blog is a magnanimous effort. To get the desire, the time and to arrange for an easy readable form is great. Appreciate it. Saadhuvaad to the authors and publishers. really we should proud on our culture and ved puran, will not get anywhere like this information , think once what was we are and their forecasting about coming decades ..speechless..they mentioned at that what have to eat in space and what have to carry must read in BIMAN SHATRA ..very fantastic science . ARE YOU SURE THAT THE RIGVEDA CONTAINS ONLY 1028 RICHAS?I SAY THAT THERE ARE10589 .YAJURVEDA HAS 1975 AS YOU MENTIONED .SAMVEDA HAS 1875 YOURS IS GOOD .AND ATHARVAVEDA HAS 5977 MANTRAS TOTAL WILL BE 20,416 MANTRAS . where can i buy full 4 vedas in hindi anyone plz tell me that..
Realy amazing. Need to read everyone. They all are really great & thanks to provided the all details as knowledge. It's really great job. I sincerely express my gratitude to the publisher for his great endeavor. As many saints like Paramahansa Yoganandji said that Vedas are God's creations and hence they are called the SHRUTIs. So, they will re-appear again through seers even if they are thrown in sea or destroyed. Further Lord Krishna defines the purpose of Vedas in Shrimad Bhagwad Gita lesson 2-shlokas 45-46 for the ultimate goal i.e. self-realization / atma-sakhshatkar. god is great they create a world and forgot us many of you think like that ? Is it true or false? Is there any other source or books to read in more simplified in Hindi. iF God is one so why do we worship so many God? so people worship other gods by getting attached to there's qualities, stories, power, character etc. Vast knowledge but not in used (familiar). There should be subject in school or colleges. To be published and well know to Indian. but these are in sankrit or harder languge. is there any institution or group which explains all its contents??? thanks . we are really grateful to you. in this don't mention of Sakshm ved. so plz mention that. I always search to read the quality content and finally I found this in your post. Keep it up! जीवन का सबसे बड़ा सच और रहस्य - मौक्ष, पुनर्जन्म और मौत..